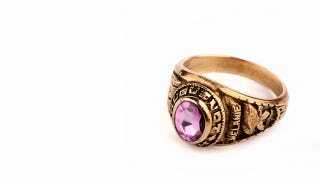 After three decades, most high school rings wind up ratting around the bottom of a jewelry drawer, but Karen Price Liebisch says she's excited that her class of 1975 ring has been returned 36 years after she lost it at Northwest High School in Ohio. Liebisch recently received a letter school saying the ring she misplaced a few weeks before graduation had turned up. Earl Corson found it 20 years ago while using a metal director at Brookville Lake in Indiana, but only turned it in recently. Liebisch said it only fits her pinkie now, but she plans to have it resized so she can wear it. "It's nice to find a piece of your past like this," she said. "It had a lot of good memories attached to it and I am really happy to have it back."